What does it mean to resist the devil? What does it mean to submit to God? Do you live your life in such a way that it makes it very hard for the devil to attack you? Or do you leave your doors and windows open for the devil to waltz in? Do you protect yourself from sin and temptation? Or do you live your life as close to the edge as possible? You see, we as believers are supposed to be different. We are supposed to be unique, peculiar and separate from the world. When the world looks at you–do they see Christ being lived out through you? Or do they see no difference at all? I see “Christians” all over the internet and in life doing what the world does, liking what the world likes and living life as though there is no difference between a so called “blood-washed, blood-bought believer in Christ” and a rank, defil and wicked sinner who hates God and does whatever he can to rebel against him. I see Christians watching rank, sinful movies (you know who you are). I see Christians listening to music that no Christian in his right mind should. I see Christians going places that Christ would never step. Why? Because they are not saved. Because they are no different from the world. Because they are unregenerate sinners wearing the mask of religion. They are still attached to the world. Their roots are still firmly planted in the world and this is why their desires and behaviours are so similar…with a touch of church thrown in for good measure. When a soul is taken from the manure pile of sin and brought into the house and family of God, his entire life changes. His desires change. His wants, friends, his motives, his future…it all changes forever. His stomach churns over his past and he weeps. The very thought of sin makes him sick. He hates his sin because it was that very sin that crucified his Lord. Imagine if you had a gun and realized it was that very gun that was responsible for killing your child? You would never want to see or hold that gun again. Just the very thought of using that gun again would make you sick in your stomach. The world goes back to the mire of sin, because he really knows no other. Oh, he’s heard about that beautiful palace up there on the hill. He’s even wandered around the place from time to time, but he always returns to his muck. Why? Because his heart is there. True Christians can resist the devil. They can turn their backs on him and tuck their heads into the strong arms of God and know that HE will take care of that which scares him. When we turn away like that and trust in God to take care of the situation, then that is is submitting to God. You see, it’s again, a matter of submission. Submission to God leads to resisting the devil. Res isting the devil leads to Him fleeing. All he needs is a look from God, and he’s gone. He knows better. But he will do his best to lure you away from God in order to entice you. Have you ever been enticed to sin whilst on your knees in worship? Have you ever been drawn into sin whilst singing praises to God? No. Why? Because the devil can’t get close to you. When you spend time in God’s presence playing among the folds of His robe…do you think the devil can have at you? One look from your heavenly Father will freeze him in his tracks and send him fleeing for his very life. Submit to God and the devil will run away. Resist him and he will pick on someone else. Don’t think you;re big and bad enough to stand firm under your own steam. That’s ego and pride talking. Do it yourself and you will fall. Submit to God and you will be victorious! And the devil will be powerless as an old man with no teeth! Resist the Devil! | Fishing For Men. The god of this world makes it very difficult to avoid the impure. The flesh makes it very difficult not to indulge impurity of one kind or another. The word of God says that if we are His, we are under His name, and so we must if we love Him and our hearts seek to honor Him. We are to bring all things into subjection to Christ. And we are to crucify the flesh. Never to allow room for things that God hates. The wonderful truth is that in seeking HIM above anything else, He will help us to obey. Oh what a glorious Lord we have! “Any sin is more or less heinous depending upon the honor and majesty of the one whom we had offended. Since God is of infinite honor, infinite majesty, and infinite holiness, the slightest sin is of infinite consequence. The slightest sin is nothing less than cosmic treason when we realize against whom we have sinned.” – Jonathan Edwards. E HAVE NO superstitious regard for times and seasons. Certainly we do not believe in the present ecclesiastical arrangement calledChristmas: first, because we do not believe in the mass at all, but abhor it, whether it be said or sung in Latin or in English; and, secondly, because we find no Scriptural warrant whatever for observing any day as the birthday of the Saviour; and, consequently, its observance is a superstition, because not of divine authority. Superstition has fixed most positively the day of our Saviour’s birth, although there is no possibility of discovering when it occurred. Fabricius gives a catalogue of 136 different learned opinions upon the matter; and various divines invent weighty arguments for advocating a date in every month in the year. It was not till the middle of the third century that any part of the church celebrated the nativity of our Lord; and it was not till very long after the Western church had set the example, that the Eastern adopted it. Because the day is not known, therefore superstition has fixed it; while, since the day of the death of our Saviour might be determined with much certainty, therefore superstition shifts the date of its observance every year. Where is the method in the madness of the superstitious? Probably the fact is that the holy days were arranged to fit in with heathen festivals. We venture to assert, that if there be any day in the year, of which we may be pretty sure that it was not the day on which the Saviour was born, it is the twenty-fifth of December. Nevertheless since, the current of men’s thoughts is led this way just now, and I see no evil in the current itself, I shall launch the bark of our discourse upon that stream, and make use of the fact, which I shall neither justify nor condemn, by endeavoring to lead your thoughts in the same direction. Since it is lawful, and even laudable, to meditate upon the incarnation of the Lord upon any day in the year, it cannot be in the power of other men’s superstitions to render such a meditation improper for to-day. Regarding not the day, let us, nevertheless, give God thanks for the gift of his dear son. In trying to open up this angelic discourse this morning, we shall note three things: the joy which is spoken of; next,the persons to whom this joy comes; and then, thirdly, the sign, which is to us a sign as well as to these shepherds—a sign of the birth and source of joy. We have already said it is a “great joy”—”good tidings of great joy.” Earth’s joy is small, her mirth is trivial, but heaven has sent us joy immeasurable, fit for immortal minds. Inasmuch as no note of time is appended, and no intimation is given that the message will ever be reversed, we may say that it is a lasting joy, a joy which will ring all down the ages, the echoes of which shall be heard until the trumpet brings the resurrection; aye, and onward for ever and for ever. For when God sent forth the angel in his brightness to say, “I bring you good tidings of great joy, which be to all people,” he did as much as say, “From this time forth it shall be joy to the sons of men; there shall be peace to the human race, and goodwill towards men for ever and for ever, as long as there is glory to God in the highest.” O blessed thought! the Star of Bethlehem shall never set. Jesus, the fairest among ten thousand, the most lovely among the beautiful, is a joy for ever. Nor was this all the holy mirth, for the next word has also in it a fullness of joy:—”a Saviour, who is Christ,” or the Anointed. Our Lord was not an amateur Saviour who came down from heaven upon an unauthorized mission; but he was chosen, ordained, and anointed of God; he could truly say, “the Spirit of the Lord is upon me, because the Lord hath anointed me.” Here is great comfort for all such as need a Saviour; it is to them no mean consolation that God has himself authorized Christ to save. There can be no fear of a jar between the mediator and the judge, no peril of a nonacceptance of our Saviour’s work; because God has commissioned Christ to do what he has done, and in saving sinners he is only executing his Fathers own will. Christ is here called “the anointed.” All his people are anointed, and there were priests after the order of Aaron who were anointed, but he is the anointed, “anointed with the oil of gladness above his fellows;” so plenteously anointed that, like the unction upon Aaron’s head, the sacred anointing of the Head of the church distils in copious streams, till we who are like the skirts of his garments are made sweet with the rich perfume. He is “the anointed” in a threefold sense: as prophet to preach the gospel with power; as priest to offer sacrifice; as king to rule and reign. In each of these he is preeminent; he is such a teacher, priest, and ruler as was never seen before. In him was a rare conjunction of glorious offices, for never did prophet, priest, and king meet in one person before among the sons of men, nor shall it ever be so again. Triple is the anointing of him who is a priest after the order of Melchisedec, a prophet like unto Moses, and a king of whose dominion there is no end. In the name of Christ, the Holy Ghost is glorified, by being seen as anointing the incarnate God. Truly, dear brethren, if we did but understand all this, and receive it into our hearts, our souls would leap for joy on this Sabbath day, to think that there is born unto us a Saviour who is anointed of the Lord. One more note, and this the loudest, let us sound it well and hear it well— “which is Christ the Lord.” Now the word Lord, or Kurios, here used is tantamount to Jehovah. We cannot doubt that, because it is the same word used twice in the ninth verse, and in the ninth verse none can question that it means Jehovah. Hear it, “And, lo, the angel of the Lord came upon them, and the glory of the Lordshone round about them.” And if this be not enough, read the 23rd verse, “As it is written in the law of the Lord,every male that openeth the womb shall be called holy to the Lord.” Now the word Lord here assuredly refers to Jehovah, the one God, and so it must do here. Our Saviour is Christ, God, Jehovah. No testimony to his divinity could be plainer; it is indisputable. And what joy there is in this; for suppose an angel had been our Saviour, he would not have been able to bear the load of my sin or yours; or if anything less than God had been set up as the ground of our salvation, it might have been found too frail a foundation. But if he who undertakes to save is none other than the Infinite and the Almighty, then the load of our guilt can be carried upon such shoulders, the stupendous labor of our salvation can be achieved by such a worker, and that with ease: for all things are possible with God, and he is able to save to the uttermost them that come unto God by him. Ye sons of men perceive ye here the subject of your joy. The God who made you, and against whom you have offended, has come down from heaven and taken upon himself your nature that he might save you. He has come in the fullness of his glory and the infinity of his mercy that he might redeem you. Do you not welcome this news? What! will not your hearts be thankful for this? Does this matchless love awaken no gratitude? Were it not for this divine Saviour, your life here would have been wretchedness, and your future existence would have been endless woe. Oh, I pray you adore the incarnate God, and trust in him. Then will you bless the Lord for delivering you from the wrath to come, and as you lay hold of Jesus and find salvation in his name, you will tune your songs to his praise, and exult with sacred joy. So much concerning this joy. II. Follow me while I briefly speak of THE PEOPLE to whom this joy comes. Observe how the angel begins, “Behold, I bring you good tidings of great joy, for unto youis born this day.” So, then, the joy began with the first who heard it, the shepherds. “To you,” saith he; “for unto you is born.” Beloved hearer, shall the joy begin with you to-day?—for it little avails you that Christ was born, or that Christ died, unless unto you a child is born, and for you Jesus bled. A personal interest is the main point. “But I am poor,” saith one. So were the shepherds. O ye poor, to you this mysterious child is born. “The poor have the gospel preached unto them.” “He shall judge the poor and needy, and break in pieces the oppressor.” But I am obscure and unknown,” saith one. So were the watchers on the midnight plain. Who knew the men who endured hard toil, and kept their flocks by night? But you, unknown of men, are known to God: shall it not be said, that “unto you a child is born?” The Lord regardeth not the greatness of men, but hath respect unto the lowly. But you are illiterate you say, you cannot understand much. Be it so, but unto the shepherds Christ was born, and their simplicity did not hinder their receiving him, but even helped them to it. Be it so with yourself: receive gladly the simple truth as it is in Jesus. The Lord hath exalted one chosen out of the people. No aristocratic Christ have I to preach to you, but the Saviour of the people, the friend of publicans and sinners. Jesus is the true “poor men’s friend;” he is “a covenant for the people,” given to be “a leader and commander to the people.” To you is Jesus given. O that each heart might truly say, to me is Jesus born; for it I truly believe in Jesus, unto me Christ is born, and I may be as sure of it as if an angel announced it, since the Scripture tells me that if I believe in Jesus He is mine. After the angel had said “to you,” he went on to say, “it shall be to all people.” But our translation is not accurate, the Greek is, “it shall be to all the people.” This refers most assuredly to the Jewish nation; there can be no question about that; if any one looks at the original, he will not find so large and wide an expression as that given by our translators. It should be rendered “to all the people.” And here let us speak a word for the Jews. How long and how sinfully has the Christian church despised the most honorable amongst the nations! How barbarously has Israel been handled by the so-called church! I felt my spirit burn indignantly within me in Rome when I stood in the Jew’s quarter, and heard of the cruel indignities which Popery has heaped upon the Jews, even until recently. At this hour there stands in the Jew’s quarter a church built right in front of the entrance to it, and into this the unhappy Jews were driven forcibly on certain occasions. To this church they were compelled to subscribe—subscribe, mark you, as worshippers of the one invisible God, to the support of a system which is as leprous with idolatry as were the Canaanites whom the Lord abhorred. Paganism is not more degrading than Romanism. Over the door of this church is placed, in their own tongue in the Hebrew, these words: —”All day long have I stretched out my hands to a disobedient and gainsaying generation;” how, by such an insult as that, could they hope to convert the Jew. The Jew saw everywhere idols which his soul abhorred, and he loathed the name of Christ, because he associated it with idol worship, and I do not wonder that he did. I praise the Jew that he could not give up his own simple theism, and the worship of the true God, for such a base, degrading superstition as that which Rome presented to him. Instead of thinking it a wonder of unbelief that the Jew is not a Christian, I honor him for his faith and his courageous resistance of a fascinating heathenism. If Romanism be Christianity I am not, neither could I be, a Christian. It were a more manly thing to be a simple believer in one God, or even an honest doubter upon all religion, than worship such crowds of gods and goddesses as Popery has set up, and to bow, as she does, before rotten bones and dead men’s winding sheets. Let the true Christian church think lovingly of the Jew, and with respectful earnestness tell him the true gospel; let her sweep away superstition, and set before him the one gracious God in the Trinity of his divine Unity; and the day shall yet come when the Jews, who were the first apostles to the Gentiles, the first missionaries to us who were afar off; shall be gathered in again. Until that shall be, the fullness of the church’s glory can never come. Matchless benefits to the world are bound up with the restoration of Israel; their gathering in shall be as life from the dead. Jesus the Saviour is the joy of all nations, but let not the chosen race be denied their peculiar share of whatever promise holy writ has recorded with a special view to them. The woes which their sins brought upon them have fallen thick and heavily; and even so let the richest blessings distil upon them. Why are Christians tempted toward sin-management instead of sin-killing? What’s the difference? Sin-killing is more painful and requires more self-honesty. Any schmuck can change his behavior. The Pharisees did. Buddhists do. The unsaved working the program in addiction recovery can do that. But it’s the desire, something much more elusive, much deeper, more rooted in our interior life and worship-wiring, that has to be fixed. It’s the difference between mowing over weeds and actually uprooting them. And it’s a pain to pull weeds; we’d all just rather mow them down. Over and over and over again. It takes some grit to manage our sin — and then we can feel proud of ourselves — but it takes grace to kill sin. Sin management versus sin-killing. It is a convicting notion, and one that has stayed with me for a few days, mainly because I’ve been sin managing instead of sin killing. I started thinking about mowing over versus uprooting. These thoughts unearthed a memory. My husband used to hate dandelions. He had a virulent hatred of them, one of the only things in life that he didn’t like. Or didn’t like enough so that he was instantly moved to action. We didn’t have a lush yard. It was surrounded by towering pine trees, which drop acidic needles that spoil the soil for grass. It was on a slope, which helped any loose soil run off. It also bounded a lake, so the soil was sandy. 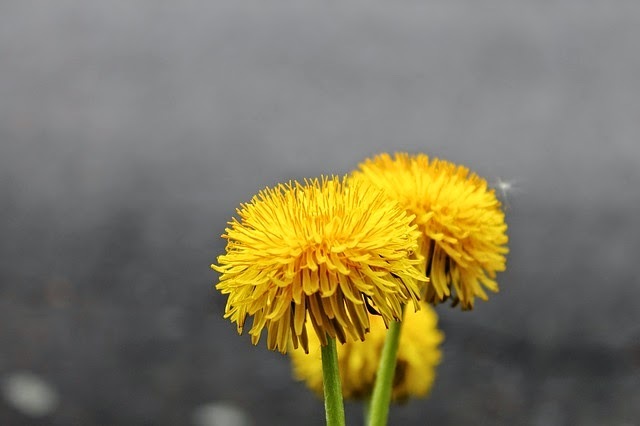 At most there might be five or six dandelions cropping up, but whether there was five or or five hundred, the moment a yellow petal reared its head above the ground, my husband would launch off the couch and warrior-like go out to slay those persistent mangy weeds. He had a special screwdriver that was too twisted and blunt to use for its intended purpose. He would grab it and march out to the offending weed. He’d bend over and jab the long screwdriver next to the stem, deep into the ground, He would use one hand to lift the dandelion and use the other to wiggle the screwdriver under the taproot. He’d grab it up and hold it aloft as if he was David brandishing Goliath’s head. Kill Dandelions in the Lawn: Even the best cared for lawns will have an occasional dandelion. 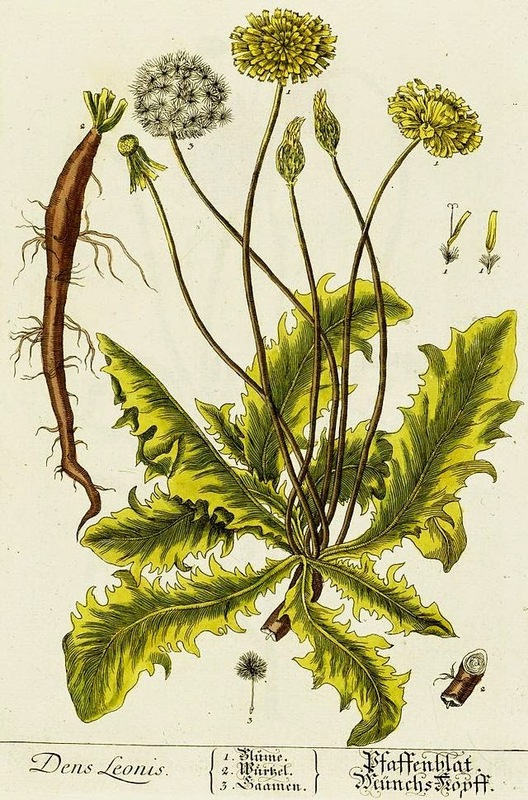 They are difficult to completely eliminate, and the entire plant (root and all) of the dandelion needs to be removed or they can grow right back. Kill Visible Dandelions The best way to attack dandelions is to kill the whole plant, taproot and all, and then keep new weeds from establishing themselves in your lawn. Don’t hand-pull them, as they will grow right back unless the tap root (often 2-3 feet deep) is completely removed. When I mowed the lawn, it was more like pushing the mower between desert-like dunes to reach the few tufts of grass weakly standing in clumps. But even in our scraggly yard where it was tough to maintain grass or flowers, dandelions grew easily. The few my husband didn’t uproot, I’d mow them over but then they’d pop up in a day or two, all new and fresh. When we are drawn into sin, we are drawn away from Christ. When we sin, we are committing adultery with our Groom standing right there, watching. Sin is serious. 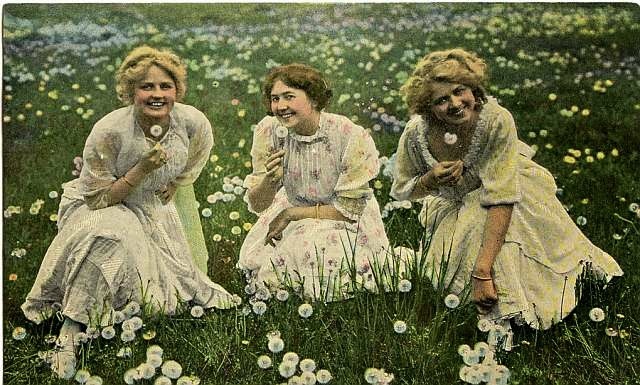 The dandelions-as-sin motif isn’t new or glitzy or insightful, it’s just an apt metaphor for the very important concept of sin killing vs. sin managing. Because you know what happens when you only manage sin. It will soon run away from you. The Satanic Sirens sing a sweet song … But just because I’ve mowed over the dandelion doesn’t mean it’s gone. It’s just easier to think it’s gone, because I can’t see it. You know that ‘sin is crouching at our door, its desire is to have you, but you must rule over it.’ (Genesis 4:7). Acknowledge what sin really is: sin. Not a mistake, or a little problem or any other euphemism. And so on. Please read the essay, it’s short. Ferguson said, “You cannot “mortify” sin without the pain of the kill. There is no other way!” How true this is. The sirens of sin crouch at our door, trying to convince us that a mowed over sin is just as good as an uprooted or plucked out sin. What is mortification of the flesh? Through The Eyes of Spurgeon…. In this brief excerpt Paul gives some brief thoughts on loving our lost family members. In a situation where, having to face the truth, I daily find myself being rejected and abandoned ( a bit like Groundhog’s Day), this is precisely what God has been working on me about….and I found it to be very timely (thanks Zabeth ❤ ). May He grow me in this until it is my second nature (His), and while He protects my heart which is usually burning with sadness and loneliness. My daily desire is that I pray to honor Him above my pride and hurt, no matter what the cost to me is. He deserves it more than I deserve even a speck of His grace. Dying to self….not nearly as easy as dying in one’s sleep, that’s for darn sure. But what I must do because I belong to Him, and He paid the highest price for that belonging. May I consider my sins long before I take into account the sins of another, regardless of how personally painful, keeping my eyes and focus on the Author and Perfecter of my faith. I thank You in this, dear Lord, even though it feels much like my heart is being ripped from my chest, to be honest. My hope is in You, it should never be in anyone or anything else, no matter how dear they may be. YOU are dearer. I. STUDY THE PATTERN OF FORGIVENESS. 1. What is this forgiveness of Christ? (1) He forgave offences most great and grievous. Men did all they could against Him. Say not that you have never thus transgressed. “He was despised, and we esteemed Him not.” These offences were unprovoked. Towards no man had He acted harshly. Such is human depravity that His very virtue provoked hostility. “They hated Me without a cause.” He continues to forgive causeless wrong. (2) He forgave the most unworthy persons. None deserved such kindness; in fact, to talk of deserving it is a contradiction. If He had left us in our sin we could have brought no complaint against Him. (3) He had always power to execute vengeance. Some pardon because they cannot punish. Half the forgiveness in the world comes from weakness of hand rather than forgiveness of heart. 2. How did He forgive? (1) Unsolicited. Before we had thought of mercy He had thoughts of mercy toward us. “I have blotted out… return unto Me.” Pardon is not first as matter of experience, but it is as matter of fact with God. (2) Heartily. Forgiveness when it comes from human lips in studied phrase is not worth the having: but when Jesus absolves it is from the heart, and sin is put away for ever. (3) Completely. He keeps no back reckonings. “I will not remember thy sins.” Even fathers, when they have forgiven a wayward child, will, perhaps, throw the offence in his teeth years after; but Christ says, “Thy sins shall not be mentioned against thee any more.”(4) Continuously. He forgave us long ago. He still forgives. It is not a reprieve, but a free pardon. (5) Graciously. Some people make it appear as though they were coming down from such awful heights. You newer feel that about Christ. He never scalds the sinner with scornful pity. (6) Greatly. The offence had brought trouble into the world, and He bore that trouble. Some people hand us over to consequences; Christ delivers us from them. (7) Consciously. There is a theory abroad that we may be forgiven and not know it. But the Holy Spirit writes forgiveness on our hearts. II. COPY IT FOR YOURSELVES. 1. This precept is universally applicable. It is unqualified in its range. It is not put that superiors are to forgive inferiors, or the less are to forgive the greater. The rich are to be forbearing to the poor, and the poor to the rich; the elder is to forgive the junior for his imprudence, and the junior the elder for his petulence and slowness. 2. This forbearance and forgiveness are vital. No man is a child of God who has not a likeness to God; and no man is forgiven who will not himself forgive. 3. Gloriously ennobling. Revenge is paltry; forgiveness is great-minded. David was greater than Saul, and Saul acknowledged it. To win a battle is a little thing if fought out with sword and gun, but to win it in God’s way with love and forgiveness is the best of victories. A nation in fighting, even if it wins the campaign, has to suffer, but he that overcomes by love is all the better and stronger for it. 4. Logically appropriate to all. If our Lord has forgiven us ten thousand talents, how can we take our brother by the throat for one hundred pence. 5. Most forcibly sustained by the example in the text. “Even as Christ.” It is said(1) “If you pass by every wanton offence you will come to be despised.” But has Christ’s honour suffered? Far from it. It is His glory to forgive. (2) “If we overlook offences, other people may be tempted to wrong us.” But has any been tempted to do so because Christ has forgiven you? Why, that is the very ground work of holiness. (3) “I know several pious persons who are unforgiving.” But that proves their impiety; and if it did not, the Master is your example, not your fellow-servant, particularly in his faults. (4) “These persons would not have forgiven me.” Just so; but you are a child of God, and must not lower your standard down to that of publicans and sinners. (5) “I would forgive him, but he does not deserve it.” That is why you are to forgive him; if he deserved it you would be bound to do him the justice he could claim.